Athletes often are cleared to return to activities 6 months after anterior cruciate ligament (ACL) reconstruction; however, knee function measures continue to improve up to 2 years after surgery. Interventions beyond standard care may facilitate successful return to preinjury activities and improve functional outcomes. Perturbation training has been used in nonoperative ACL injury and preoperative ACL reconstruction rehabilitation, but has not been examined in postoperative ACL reconstruction rehabilitation, specifically return to sport rehabilitation. 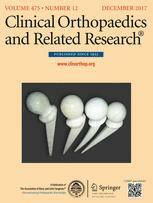 The purpose of this study was to determine whether there were differences at 1 and 2 years after ACL reconstruction between the male SAP (strengthening, agility, and secondary prevention) and SAP+PERT (SAP protocol with the addition of perturbation training) groups with respect to (1) quadriceps strength and single-legged hop limb symmetry; (2) patient-reported knee outcome scores; (3) the proportion who achieve self-reported normal knee function; and (4) the time from surgery to passing return to sport criteria. 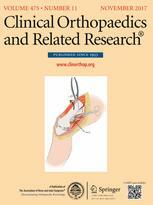 Forty men who had completed ACL reconstruction rehabilitation and met enrollment criteria (3–9 months after ACL reconstruction, > 80% quadriceps strength limb symmetry, no pain, full ROM, minimal effusion) were randomized into the SAP or SAP+PERT groups of the Anterior Cruciate Ligament-Specialised Post-Operative Return to Sports trial (ACL-SPORTS), a single-blind randomized clinical study of secondary prevention and return to sport. 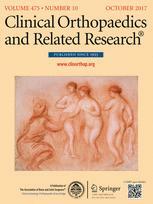 Quadriceps strength, single-legged hopping, the International Knee Documentation Committee (IKDC) 2000 subjective knee form, Knee Injury and Osteoarthritis Outcome Score (KOOS)-sports and recreation, and KOOS-quality-of-life subscales were collected 1 and 2 years after surgery by investigators blind to group. Athletes were categorized as having normal or abnormal knee function at each time point based on IKDC score, and the time until athletes passed strict return-to-sport criteria was also recorded. 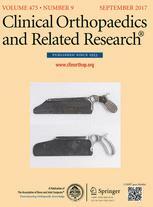 T-tests, chi square tests, and analyses of variance were used to identify differences between the treatment groups over time. There were no differences between groups for quadriceps symmetry (1 year: SAP = 101% ± 14%, SAP+PERT = 101% ± 14%; 2 years: SAP = 103% ± 11%, SAP+PERT = 98% ± 14%; mean differences between groups at 1 year: 0.4 [−9.0 to 9.8], 2 years = 4.5 [−4.3 to 13.1]; mean difference between 1 and 2 years: SAP = −1.0 [−8.6 to 6.6], SAP+PERT = 3.0 [−4.3 to 10.3], p = 0.45) or single-legged hop test limb symmetry. There were no clinically meaningful differences for any patient-reported outcome measures. There was no difference in the proportion of athletes in each group who achieved normal knee function at 1 year (SAP 14 of 19, SAP+PERT 18 of 20, odds ratio 0.31 [0.5–19.0]; p = 0.18); however, the SAP+PERT group had fewer athletes with normal knee function at 2 years (SAP 17 of 17, SAP+PERT 14 of 19, p = 0.03). There were no differences between groups in the time to pass return to sport criteria (SAP = 325 ± 199 days, SAP+PERT = 233 ± 77 days; mean difference 92 [−9 to 192], p = 0.09). This randomized trial found few differences between an ACL rehabilitation program consisting of strengthening, agility, and secondary prevention and one consisting of those elements as well as perturbation training. In the absence of clinically meaningful differences between groups in knee function and self-reported outcomes measures, the results indicate that perturbation training may not contribute additional benefit to the strengthening, agility, and secondary prevention base of the ACL-SPORTS training program.